The port town Hakodate is actually a town known for its slopes. From the seaside, looking towards Hakodate-yama, you will notice a number of straight uphill slopes. From the Motomachi neighborhood to the vicinity of Hakodate dotsuku, there are 19! Each slope has a name! 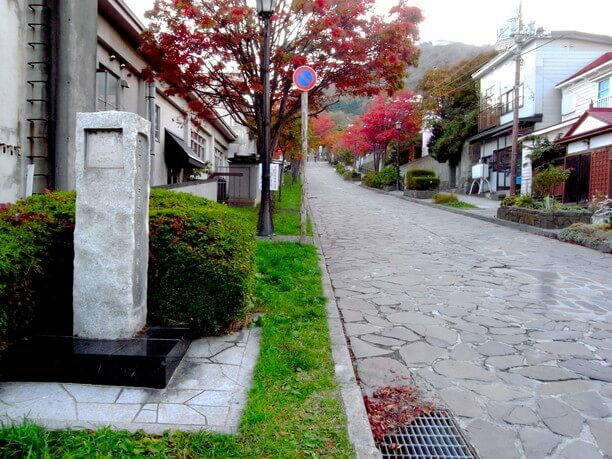 One of the most famous being the Hachiman zaka slope. The common feature of Hakodate’s slopes is that they are straight. Therefore, you can enjoy the scenery and there is nothing to block the ocean view. Looking back from the top of the slope, the cityscape gives you a feel for the history of the town and the refreshing ocean landscape. Explore these straight slopes that were born from a tragic history! The slope that stretches from the foot of Mt. 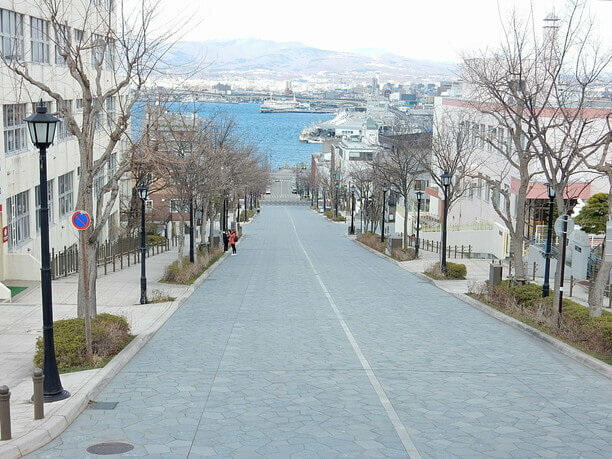 Hakodate has a wide road width and follows a straight line. Therefore, you can enjoy the open view, that allows you to look straight down to the sea. This feature was created from the tragic history of the city. 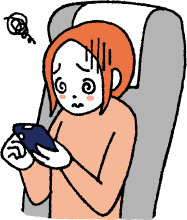 Hakodate was hit by large fires many times in the past. Taking advantage of that experience, they developed a wide and straight road that is easy to escape and prevents the fire from spreading. Although it is a sad memory, thanks to that, it has become possible to enjoy an exhilarating scenery that can overlook the harbor without interruption! You will want to visit Japans best slopes like Hachiman Zaka in Hakodate! The wonderfulness of Hakodate’s slopes is known nationwide. Especially famous is the Hachiman zaka slope. Looking down from this slope, you can see Hakodate Bay, and you can see the city of Hakodate behind the Mashu maru floating on the sea. 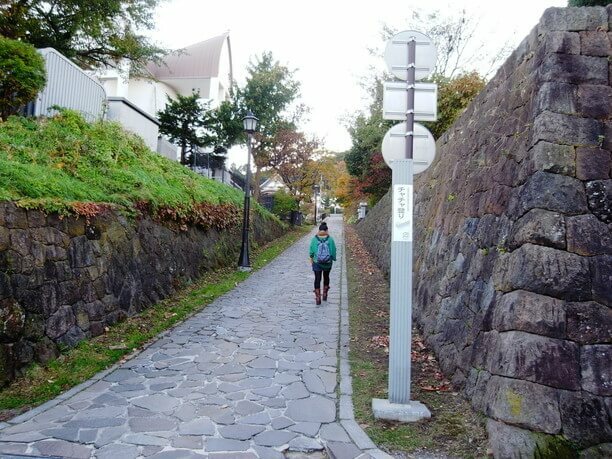 Because of its beauty, it was ranked the NO.1″ slope in Hakodate. It has also been used as a location for movies and TV dramas. 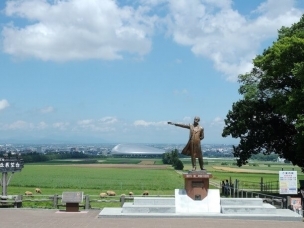 Furthermore, the scenery from the Daisan zaka slope was chosen as one of the top ten views in Japan. 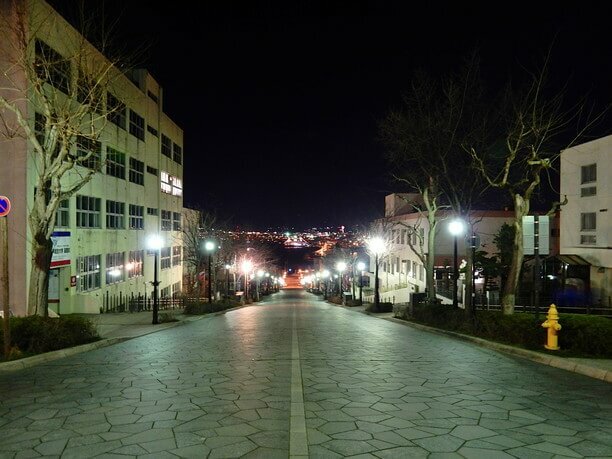 Nanbu zaka slope has a view of the city that has a very romantic night view! Enjoy the view of the retro streets and slopes! This area with many slopes is close to the sea and also overlaps with the place where the development of the city began. For that reason, there are many buildings that make us reminiscent of the past. It is also attractive to be able to enjoy the sea and the retro streets together from the top of the hill. Hakodate has thrived as an international trade port since the end of the Edo period. 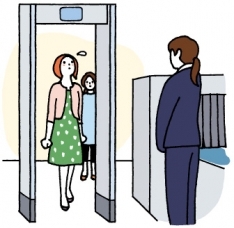 For that reason, in the Motomachi area, Western-style, high-color buildings like the church and the former British consulate are drawing attention. 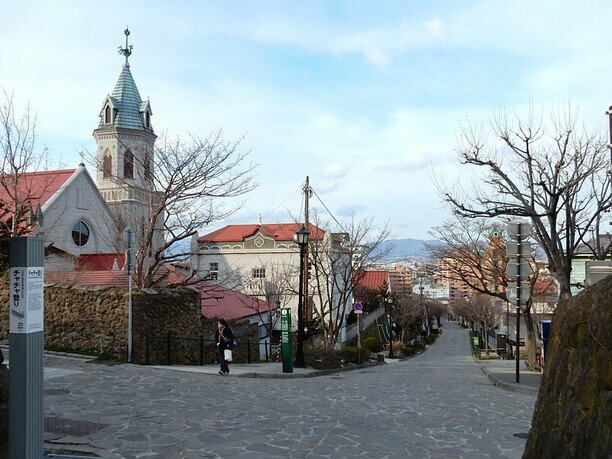 On the other hand, the slopes of Ohmachi and Yayoi-cho, which are close to Hakodate Dotsuku have a calm atmosphere that makes you feel like you are visiting somewhere in the past. Hakodate’s slopes provide many places to take photos. It is a spot where you can enjoy walking around the city! 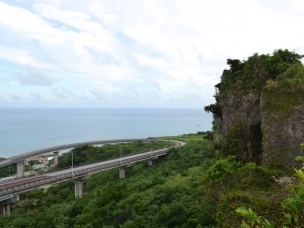 Enjoy the scenery of the #1 rated Hachimanzaka slope overlooking Hakodate Bay!